United Airlines is turning up the heat next summer with new daily nonstop transatlantic routes bound for three European hot spots: Athens, Barcelona and Lisbon. Flights between New York and Athens will run from May 25, 2016, to October 5, 2016. Service from Washington, D.C., to Barcelona and Lisbon starts on the same day, and ends on September 6. These new routes were added to meet the increasing demand for flights to these destinations during the peak summer months. United will fly the Boeing 767, which features indirect lighting, more spacious interiors and larger overhead bins, to Athens and Barcelona. The Boeing 757-200 will be used for flights to Lisbon. United’s New York to Athens flight will leave Newark every day at 5:40 a.m. and land in Greece at 10:30 a.m. the next day. Return flights take off at 12:30 p.m. and arrive back in the U.S. at 4:30 p.m. the same day. 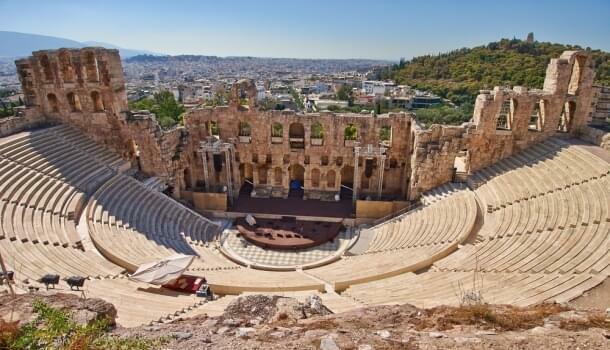 Athens is loaded with history, and has been the center of Greek society for more than 4,000 years. There’s no shortage of landmarks ready for you to explore, such as the Parthenon, Athena Nike and the Erechtheion. All of them are located just through the olive trees in the Acropolis, the city’s ancient hilltop citadel. And if you want a snack, stop at the Acropolis Museum. It’s become a popular destination not just for its exhibits, but also for its restaurant’s tempting menu. Mixed with the ancient ruins and wonders, you’ll also find a wonderfully vibrant and modern city. There are newly emerging neighborhoods offering lots of cafes, galleries, restaurants and bars to explore, as well as several areas known for nightlife, including Psiri and Gazi, where you can dance and party the night away. 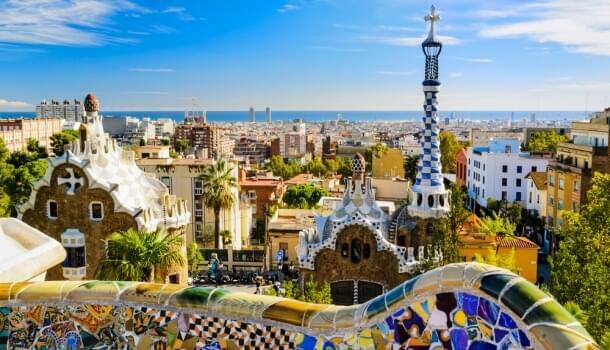 The new flights to Barcelona will leave daily from Washington Dulles International Airport at 6:10 p.m. and land in Spain at 8:20 a.m. the next day. Return flights take off from Barcelona at 11:30 a.m. and and arrive in Washington at 2:45 p.m. the same day. Barcelona is visually striking, loaded with beautiful and often offbeat architecture and art. If medieval history is your thing, check out the Gothic Quarter. More modern creations aren’t hard to find, either, and they are very much a part of the city’s architectural vibe. The Sagrada Família church, La Pedrera, Casa Batlló, Torre Bellesguard and the Park Güell are colorful and even magical destinations. The city is also known for its delicious and inventive cuisine, with no shortage of restaurants and cafes where you can sample everything from tapas to fine dining. The central Boqueria Market is also a big hit, with stalls selling local products, prepared foods and produce. Among Lisbon’s biggest draws are its cafe culture, musical performances and old-world charm. You can soak it all up after grabbing one of the daily flights that leave from Washington Dulles at 5:55 p.m. They arrive in Portugal at 6:20 p.m. the next day. 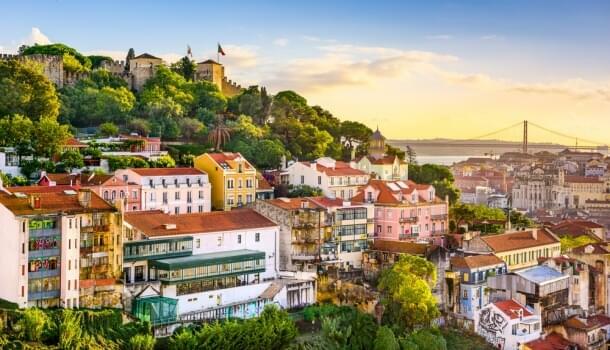 Return flights leave at 10:50 p.m., hitting the tarmac in Washington at 2:10 p.m.
Lisbon is great to explore on foot or by jumping on one of the old yellow trams. The city is relatively small and easy to get around, and there is plenty to see and explore. If you get tired, stop off at one of the city’s famous cafes and have a delicious coffee while taking in a local performance. Majestic landmarks such as the Aqueduto das Águas Livre, an 18th-century aqueduct, the Torre de Belém and the Convento do Carmo are favorites. There are also great museums to see. The Museu Calouste Gulbenkian is loaded with Oriental and Islamic art, and the Centro de Arte Moderna offers a view into Portuguese art from the last 100 years.